American physician; born at Oakland, Cal., Sept. 8, 1854. He received his education at San Francisco, Cal., and at the universities at Würzburg, Berlin, Vienna, and Leipsic (M.D. 1876). Returning to America, he settled in San Francisco and built up a large practise. 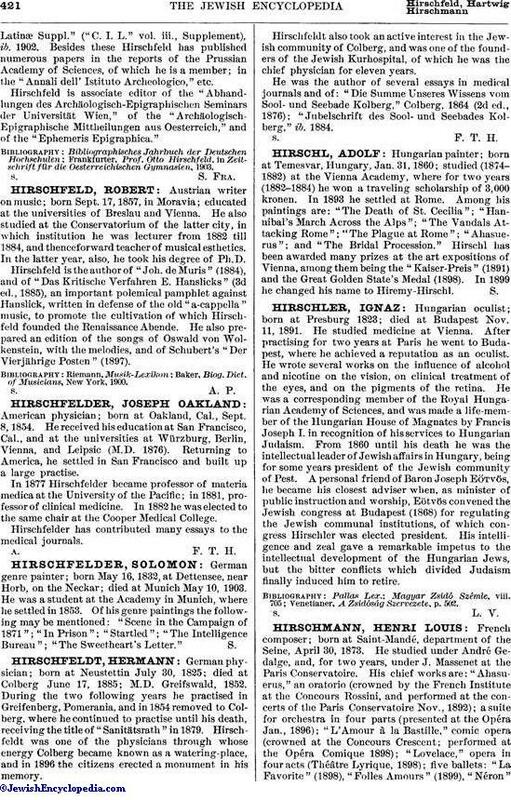 In 1877 Hirschfelder became professor of materia medica at the University of the Pacific; in 1881, professor of clinical medicine. In 1882 he was elected to the same chair at the Cooper Medical College. Hirschfelder has contributed many essays to the medical journals.